These are my submission to this month's Side Dish Showdown. I have made a real effort to make more side dishes this year, even though it's tough for me. This is yet another potato, but for so long I was a little intimidated by potatoes that once I got on a roll, I just kept going! I can't remember what I served these with, but it was definitely some type of chicken. These potatoes would go perfectly with steak too! 1. Bring a pot of water to a boil. Add a generous amount of salt. Add potatoes and cook until fork-tender. 2. On a sheet pan, generously drizzle olive oil. Place tender potatoes on the cookie sheet leaving plenty of room between each potato. 3. With a potato masher, gently press down each potato until it slightly mashes, rotate the potato masher 90 degrees and mash again. 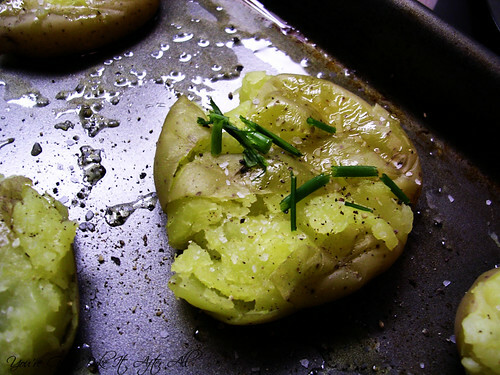 Brush the tops of each crushed potato genouersly with more olive oil. 4. 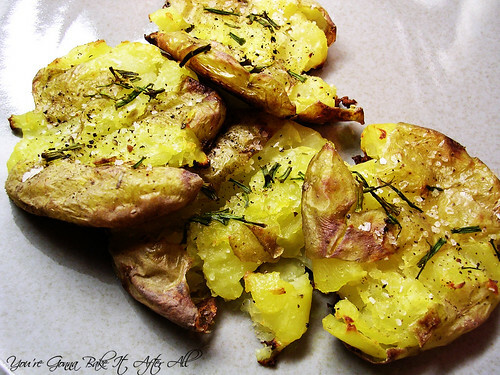 Sprinkle potatoes with kosher salt, fresh ground black pepper, and fresh chopped herbs. 5. Bake for 20 - 25 minutes until golden brown. I'm actually very intimidated by mashed potatoes, but these I could do. And I can tell they must be delicious. I think chives and garlic would be really good. These look really good! I see lots of people making them but haven't tried them yet. Thanks for sending them to the Showdown! And turkey would be fine for the burger. 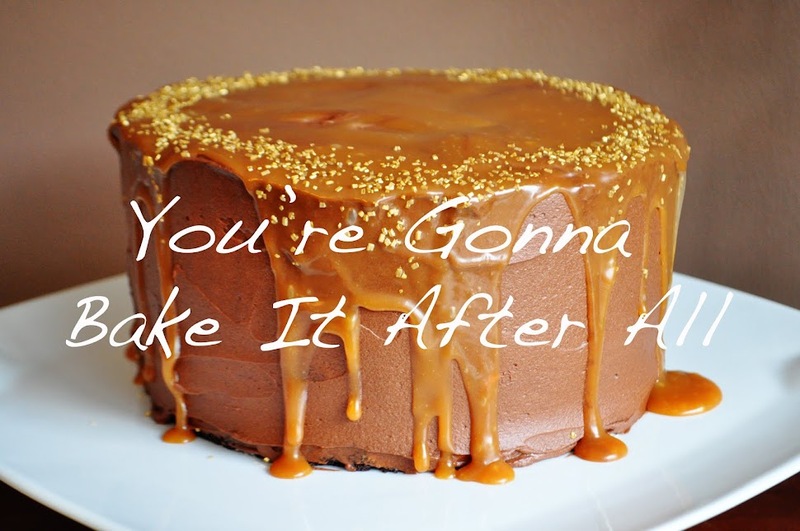 I think Giada had a similar recipe on her show this past weekend. I have been thinking about them since. Looks great! I am a huge fan of potatoes virtuallu any way. I bet these would be great toped with a sprinkling of feta cheese! I saw these on PW cooks, and made them too. They are delicious, and so , so simple. They are also good with a bit of pepper jack melted on ! I love Ree! Looks like you did a great job with her recipe! These are such a great way to serve potatoes to guests - yum! PW just has some of the best recipes. Simple or not...they are always good. These are no exception. They look so crispy and delicious!